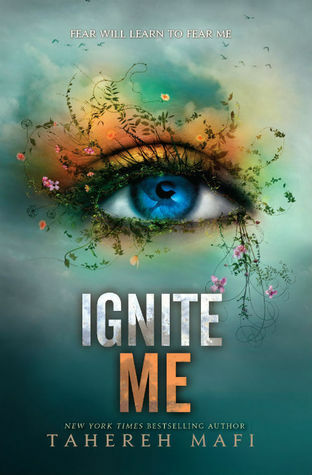 “Ignite Me” by Tahereh Mafi is the third and final book in the Shatter Me trilogy. It follows Juliette, a girl with a touch that can kill – literally – and a super strong power that she has begun to finally understand and harness to its true ability. It’s also about her conflicts of the heart between two guys, Warner and Adam, and how she, along with several others, have to fight against the Reestablishment to regain control of their country – and their lives. This review will probably contain some spoilers as this is the third book, so if you haven’t read it yet, please come back when you do. THIS BOOK, GUYS. It was SO good. As far as wrap-ups to trilogies go, this one was on point. It wrapped up a lot of conflict, both inner and outer, and it also showed some amazing character development from a beginning of a series to the end. Okay, let’s talk about the characters. Juliette. She was so BADASS. She really came into her own in this book, and though she was a little whiny at the beginning, she really opened her eyes and finally realized a lot not only about herself, but about others. She became physically strong (like, ridiculously physically strong) as well as mentally and emotionally. When we first met her in the first book, she was a super unstable girl who counted cracks in the ceiling tiles and how many seconds of every day went by. In the second book she started to really see more of the world, and though she still had far to go, she was starting to learn to trust herself. And then in this book? WOW. She really showed that she’s not afraid of anything anymore, that she’s willing to make a difference in the world if it means helping others and herself. And she finally understood the complex feelings in her heart (YAY) and chose based on those feelings rather than by the first kind interaction she ever had. Adam was a total jerk throughout a majority of this book. He showed a lot of his true colors when presented with stress and a broken heart. I really wanted to hit him a lot. I mean, he didn’t even apologize in the end, and I don’t really care what happens to him anymore, but yeah. His sweet and gentle personality was really, really tested in this book and it showed that he wasn’t all he was cracked up to be. I mean, throwing insults at Juliette and telling her what she can and can’t do? Yeah, no. Warner showed so much more of himself in this book than any other and it really shed so much light on him that I kind of can’t believe I thought he was a super creep in the first book. But his actions in the first book really showed he kind of was, but that’s not the point. In this book we get to know more about the past and how Warner really thought. We also got a more in depth look into his personal life and his feelings and how much he would risk for Juliette. I thought it was very brave of him to be able to do so much for her, and really sweet. He became one of my favorite characters. Kenji is also the best. I want him to be my BFF right now. Like seriously, I laughed out loud at so many of his interactions with Juliette and the others, it was great. The plot of the story continued from the previous book, but it had to refocus as a lot happened in the second book, including (spoiler alert) Omega Point getting destroyed. So not only did it deal with the repercussions of that, but it also dealt with two sides joining forces with each other to try to overcome a common evil. I mean, obviously there was more than enough romance in this book (including lots of steamy parts [ohhhh myyy]), but I think it did give an ample amount into the Reestablishment and how they wanted to overtake it and regain control for the citizens and everyone out there. 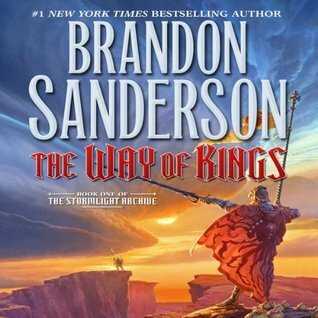 Overall, I thought this book was an amazing trilogy finale and I highly recommend it if you’ve read the first two books. 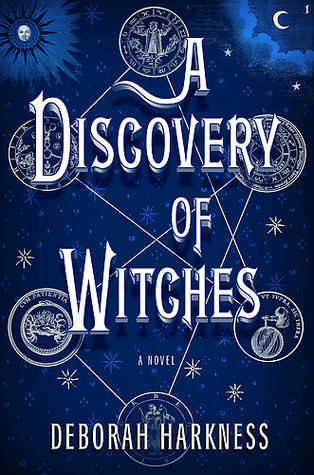 Seriously, this trilogy got better with each book (and the only reason it doesn’t get a full 5 star is because Juliette was still whiny and stuck in her ways at the very beginning). I rate this 4.5/5 stars. This entry was posted in Book Review and tagged 4.5 stars, book, dystopian, ignite me, read, reading, review, romance, tahereh mafi, trilogy, ya, young adult. Bookmark the permalink.